Currently, two parliamentarians from Pakistan, Mushahid Hussain Syed and Dr. Shezra Kharal are on a tour of Washington DC to plead the case of ‘Indian atrocities’ in the disputed Kashmir region, bordering Pakistan and India. The current escalation in hostilities started when Burhan Wani, a Kashmiri terrorist leader was killed by Indian security forces. Pakistan, as usual, responded by sending its non-state actors across the Line of Control into Indian Kashmir and killed 18 security forces in Uri. Pakistani Prime Minister, Nawaz Sharif, praised Burhan Wani as a martyr and a ‘young freedom fighter’ while addressing the UN General Assembly in New York. Mr. Syed and Dr. Kharal addressed an event organized by the Atlantic Council in Washington DC and displayed a number of pictures showing victims with pellet gun wounds used by Indian security forces. However, they failed to even mention the thousands of dead bodies that have appeared in the Pakistani province of Balochistan. Mr. Syed spent most of his time criticizing the US policies in the region and of course put the entire blame on India for not solving the Kashmir issue. When you are on a tour to mold the international opinion on Kashmir, at least have the common decency not to criticize the host country! It is important to note that the United Nation Security Council Resolution 47 passed on 21 April 1948 reaffirmed its Resolution 38 of 17 January 1948 and Resolution 39 of 20 January 1948. The Resolution contained 3 main points; first, Pakistan should withdraw troops and tribesmen which it hasn’t done yet. The last time Kashmir was discussed by the UN Security Council was way back in 1957. US, China, UK and all major powers have repeatedly asked Pakistan to resolve all outstanding issues bilaterally with Pakistan. Second, both India and Pakistan signed the 1972 Simla Agreement which required both countries to resolve all bilateral disputes including Kashmir. The Lahore Agreement signed by Indian Prime Minister Mr. Vajpayee and Pakistani Prime Minister Mr. Nawaz Nawaz agreed to abide by the Simla spirit. This is 2016 and here we are back to square-one, we have been to back to square-one numerous times in the past as well. 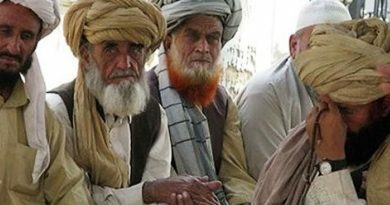 Whenever the civilian governments (and President General Musharraf at one point) decide to resolve all bilateral issues, some forces mysteriously decide to not only derail the peace process but also escalate the tension to the point of going to war as if we have had not enough wars over Kashmir. Pakistani Defense Minister Khwaja Asif recently threatened to use nuclear weapons against India. We can all fathom how the South Asian region will look like after an atomic bomb is dropped over Lahore or Mumbai or New Delhi! Will it solve the Kashmir issue even if Khwaja Asif pulls the trigger on his nuclear trigger? The real question everyone should be asking is “who doesn’t want to solve the Kashmir issue?” Why would India not want to solve the issue? India is an economic giant and on an upward trajectory to become not only a leader in South Asia but in the world as well. War would mean a hard brake applied to its progress made on multiple fronts. Pakistan, on the other hand, is currently diplomatically isolated, encircled and dependent on foreign aid from the US, UK, Saudi Arabia and many others. 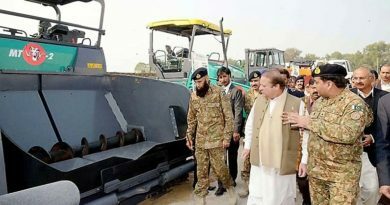 Pakistani military, more specifically, requires an enemy to maintain its larger-than-necessary presence in the country. How come Pakistan maintains such a huge military presence when its human development indicators are at the bottom of the list? Why is Pakistan trying hard for parity with a neighbor which is not only many times larger in area and population and the level of technological advancement? Does resolving the Kashmir issue benefit the army is an open ended question and requires a thorough discussion inside Pakistan. The Coalition Support Fund and F-16 sale is currently on hold and the mood inside the Beltway is not in favor of Pakistan. 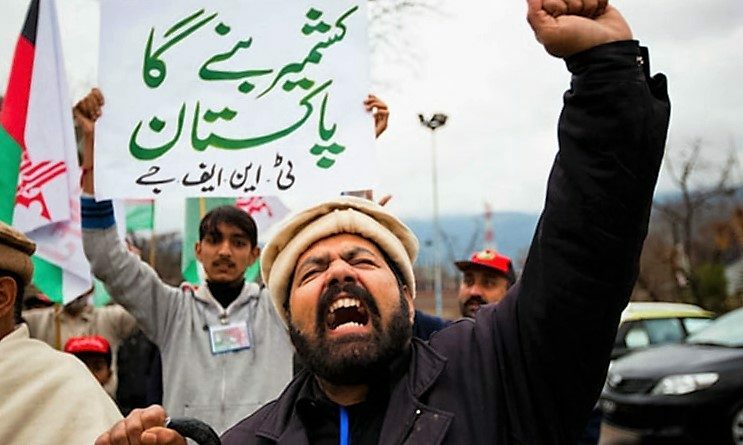 Pakistan is raising the Kashmir issue at regional and international fora because it wants the UN, US and China (and others) to help Pakistan get the entire Kashmir, so most probably its not about Kashmiri freedom fight but more of a Pakistan-retaining-the-territory fight. Is there a way out? There surely is, and I propose here three main steps to get out of the vicious cycle of violence, relative peace, talks of talks, talks, and violence again. First and foremost, Pakistan must discontinue the use of terror as an instrument of Foreign Policy and bridle it’s innumerable Jihadi terror networks of JuD, JeM, LeT, SSP, HuM, LeJ, and Taliban carrying out ops across the border in both India and Afghanistan. This will lead to a short-term de-escalation technique. India should not compromise on this point and it must be made a prerequisite for any meaningful dialogue. India must maintain realistic diplomatic and economic stressors. At the same time Indian security forces must ensure to keep the injuries to an absolute minimum when responding to Kashmiri protest demonstrators. Second, once the first prerequisite is satisfied, Pakistan and India must withdraw all its forces from the glaciers. Siachin is a totally useless war front and it is wreaking havoc with the pristine Himalayan environment. Both armies have created a huge environmental mess there and it needs to be cleaned immediately. Once both armies withdraw, the mountains region must be handed over to a groups of international scientists and environmental professionals to asses the damage and fix the responsibility. At a time when the Earth is passing through a phase of climatic changes, India and Pakistan cannot afford to have a looming environmental disaster that will accelerate glacial melting and corresponding runoff in major tributaries of the Indus System. The first two steps will generate enough goodwill for both countries and Kashmiri people to move on to the final settlement and determining the fate of the region. China must be on board to hold a plebiscite in the entire Kashmir, including the one occupied by China and Gilgit Baltistan as well. The plebiscite can only take place in a terror-free environment. There is a very bleak light at the end of the dark tunnel as a Dawn report indicates that Pakistani Prime Minister Nawaz Sharif has reportedly asked the army to get serious about fighting home grown terrorists. Keeping in vies the powerful nature of the military, the PM’s office has understandably denied the report as ‘half truths’. Let’s hope some more half truths see the light of the day!